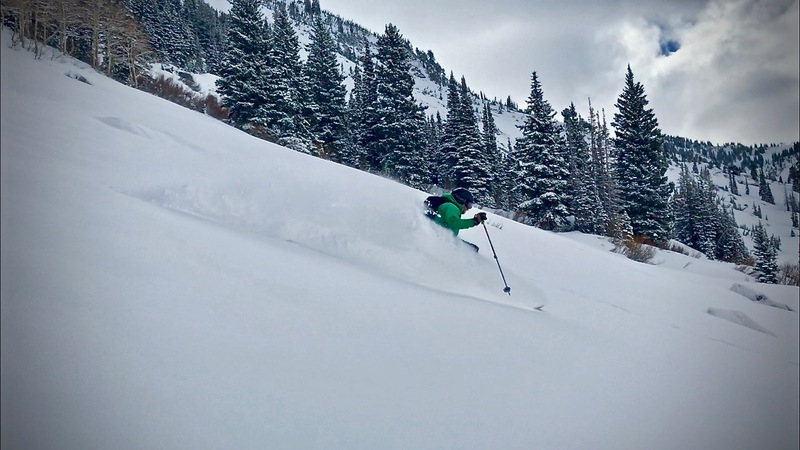 Soon I will be driving back across the Great Plains of America again for the summer, but the spring skiing in Utah continues to call me out for more. 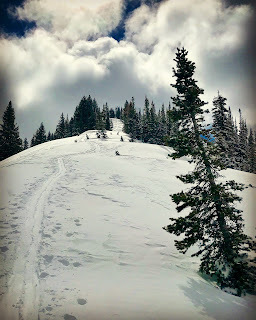 First week of May came with a couple small storms that were cold enough at elevation to yield some cold powder! I saw a chance to get in a tour in the Cottonwoods so I sent a variety of texts to my Salt Lake City touring friends and nearly all of them were pre-occupied. All but one. 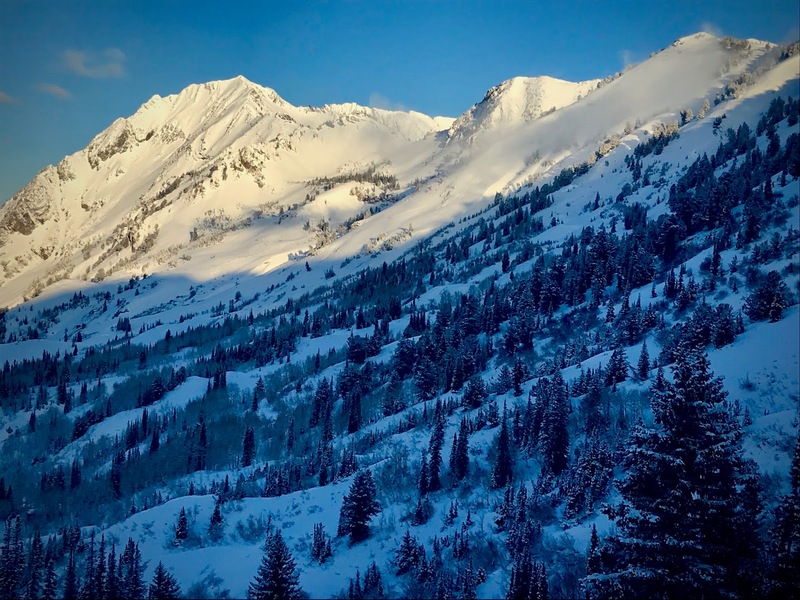 My friend, Travis Bellantino, linked up with me for a dawn patrol in a classic area of Little Cottonwood. I linked up with Travis bright and early at one of Little Cottonwood Canyon's most popular trailheads above Alta, Utah. Mid-winter the parking lot is brimming with people gearing up. Even at this early hour of the cold crisp morning. However, it's May. There are few people in the lot, and Travis gives me a wave as I pulled in and we got our tour underway. 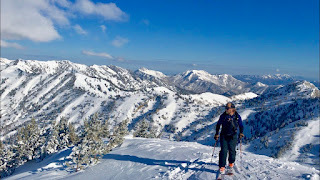 in skiing of Mt. Superior from Twin Lakes Pass. It still gets me though. No matter how clichéd of a photo, or as crusty of a salty old dog I may become, a view like this still gives me pause. I guess that's why it's so popular. ^Sunrise in the Cottonwoods in spring. ^Travis taking in the views while we traversed along the ridge, in this picture above. This is what we call "Was Angeles" to the tee. This time of year though it is only the final few folks that remain out here. As Travis and I ascended we came across a few different people. Everyone was chatty and happy. The beta was flowing on which aspects were expected to stay cold, where the old crust was, how hot the sunny aspects were getting, and then at the end I kept finding myself culminating with, "Yeah. It's May." That got a chuckle nearly every time. It kinda became the saying of the tour for Travis and I. 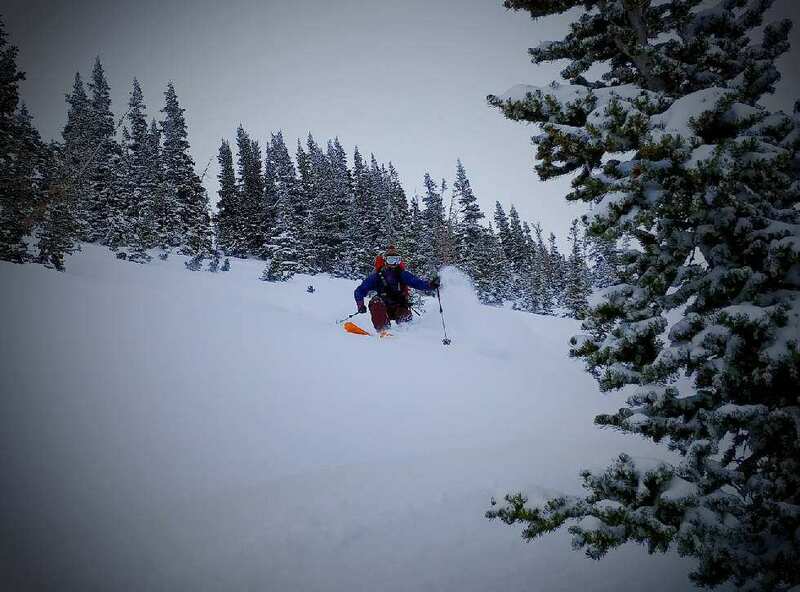 It was a decent five-inch powder day. Mid-season it would not have been that big of a deal, but it's May. We'd be talking about how good, or not, the conditions of an aspect were and that saying, "It's May", kinda always made us all stop and chuckle. 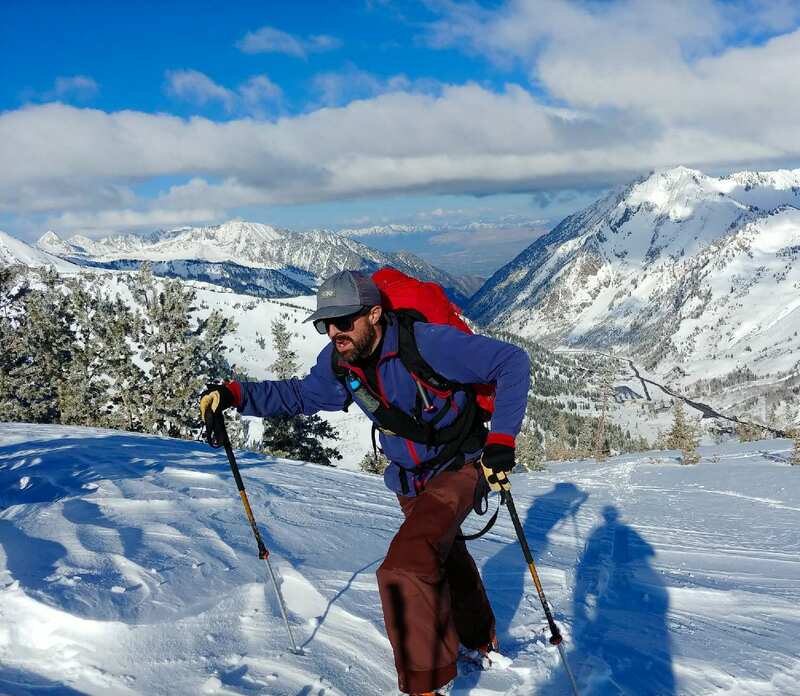 We'd all recall that it is awesome to be skiing cold snow at all this time of year, especially after a winter like we had in Utah. ^Sunrise always glows well on'er. 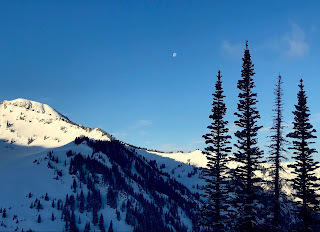 ^I was simply happy to get out and stretch the legs one more time before hanging up the skis for the year. I'll soon be driving east again for a Wisconsin summer and autumn. 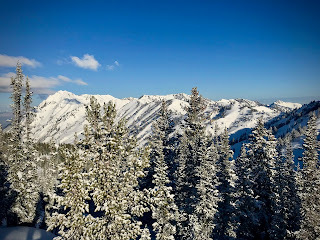 It was just good to get out on snow. It was awesome to have Travis come out too. I didn't get to ski with my friends as much as I'd have liked to this year as I had been working it pretty hard guiding and hosting. It was nice to get out with Travis. It had been awhile. ^As usual, I had my radar set at a nice walk in the woods, and the skiing would be bonus. 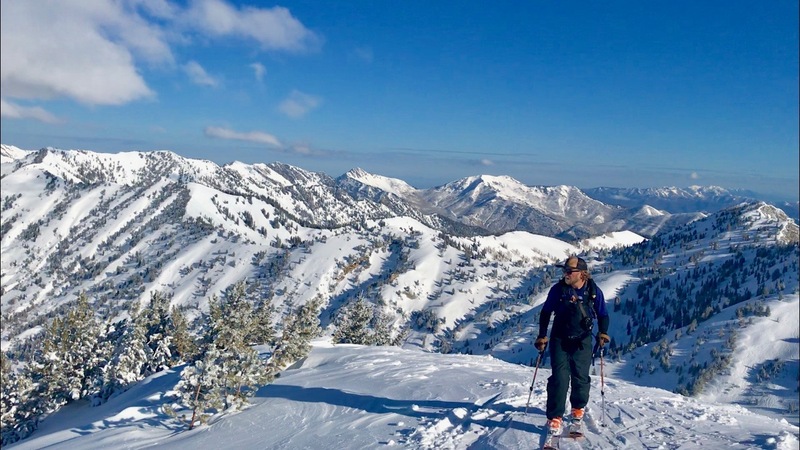 Travis and I really did not know how well it would ski, but after a good amount of hunting we were happy to find some surprisingly good conditions. I mean, it's May! ^Five inches skied really quite well. The date on the calendar made it seem more special then any standard February five inches. 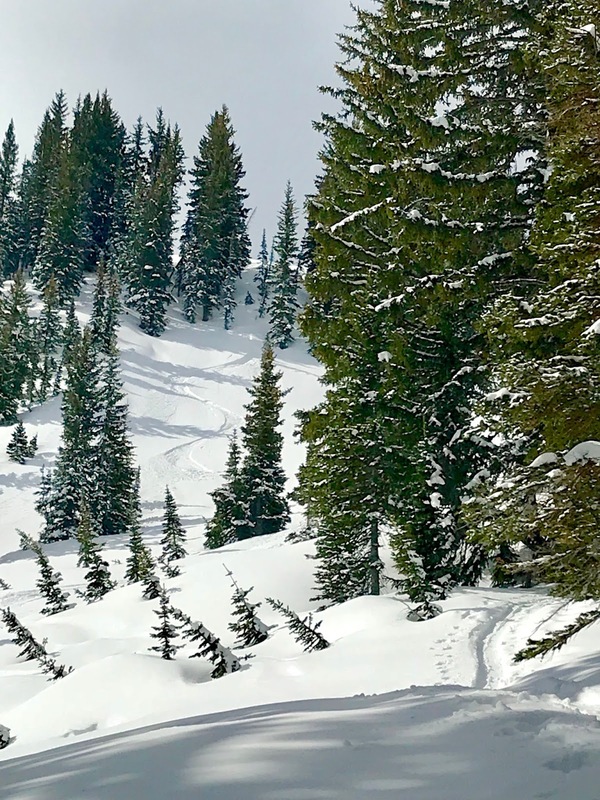 The spring sun was heating the snowpack up pretty quickly too, which seemed to make the moment even more fleeting. I was looking at midwestern summer right around the corner, Travis made it out, it was five dense inches, and it was May damn it. 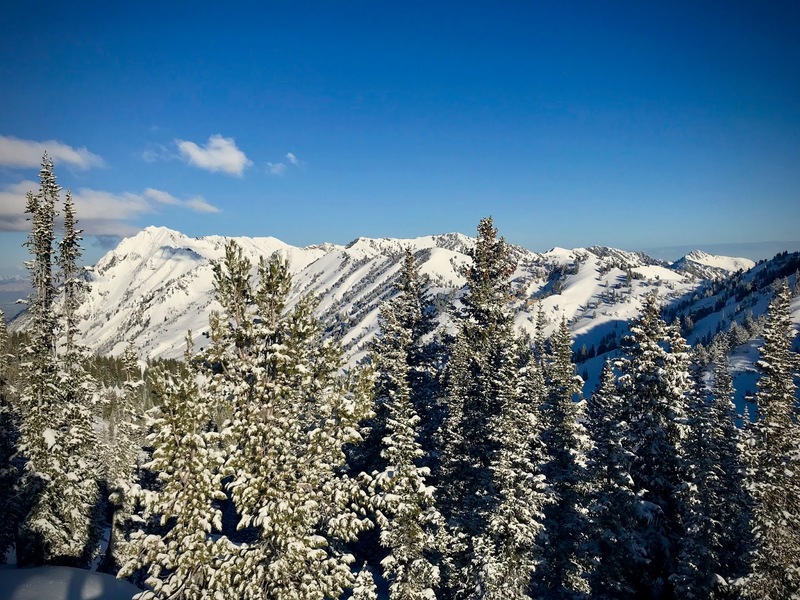 The whole package made the day one that stands above most five-inch ski days I have had. ^The tour got the blood pumping, and the skiing was pretty good. Travis and I had a lot of laughs. The sunrise was gorgeous. The typical Cottonwoods crowds were not existent. All the factors came together to have a really good one. It was an ideal send-off for me for my ski season. I had a really busy and unique winter all around, but after the last few weeks I have been feeling content to be ready to hang up the skis for the summer. I am feeling fulfilled on the year, and after all... It's May.